According to a social media post, former Hawkwind keyboardist/audio generator Michael ‘Dik Mik’ Davies has died. No cause of death has been given at this time. 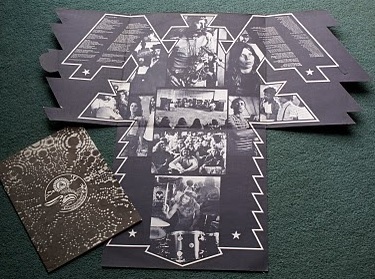 “Dave Brock….”I remember when DikMik joined the band, he bought himself an audio generator from Tottenham Court Road, got himself a Watkins Copycat echo unit, a fold up card table, (complete with green baize), and became one of the innovators of electronic music! “It was on DikMik’s suggestion, and later persistence, that we got Lemmy to join the band and you know the rest! Michael Davies (born Richard Michael Davis, 1944, in Richmond, Surrey, England), better known as Dik Mik, was the electronics operator and keyboardist with Hawkwind. On album credits he was credited as playing keyboards, audio generator, synthesiser or electronics. He knew Dave Brock before the formation of Hawkwind in November 1969, and was an original member of the band. He was injured in a major traffic accident in May 1971, and had to step down, his place being taken by Del Dettmar. Dik Mik returned in August 1971, but Dettmar stayed, and they both played electronics. 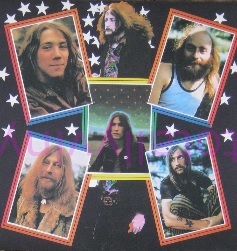 Dik Mik finally left Hawkwind in August 1973. 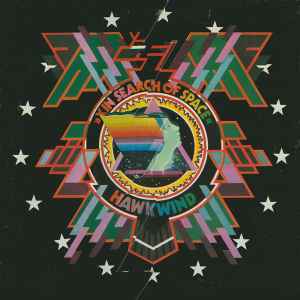 With Hawkwind, he had a #3 UK hit single with "Silver Machine", and a #9 UK album with Space Ritual. Record Company – United Artists Records Ltd. Different label layout from X In Search Of Space (A1U / B1U, A1U/B2U matrixes); different fonts, "STEREO" further from the edge of the label and with a wider font. Released in a tri-fold, die-cut heavy card sleeve. which opens out from the centre, to form a 'hawk' shape. This shape is printed blue &; white on the inside and full-color on reverse. Contains an A4, 24-page 'Log Book', printed black on white 'newspaper-quality' paper. Printed and made by the E. J. Day Group, London and Bedford. Produced at Olympic Studios, Barnes. Track B2 first recorded at Air Studios. Manufactured in England - A product of United Artists Records Ltd.
(Note: There are probably many copies of this release from which the log book or the original UA imprinted liner have been lost).